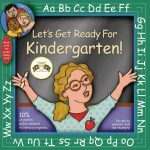 The Spanish/English edition of Let’s Get Ready For Kindergarten! iA Prepararse Para Kindergarten! was created due to the overwhelming demand from schools, teachers, parents and libraries across the country. Cedar Valley Publishing is proud to have the Spanish/English edition available to help children and parents learn Spanish and English to all get ready for school. 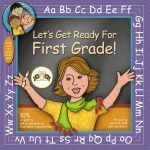 It’s the entire Kindergarten curriculum with illustrations to help in testing and Kindergarten readiness and it helps in overcoming Spanish/English language barriers!! It’s a must have in schools across the nation. Kindergarten is truly the perfect time to teach a second language! !